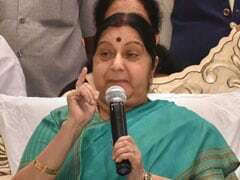 At an all-party meeting ahead of the beginning of winter session Prime Minister Narendra Modi said, "We are ready to sit till late to ensure parliament functions". The Congress put forward its pressing concerns -- including the Rafale deal and misuse of Electronic Voting Machines -- at the meeting. An all-party meeting was held in parliament ahead of the beginning of winter session tomorrow. 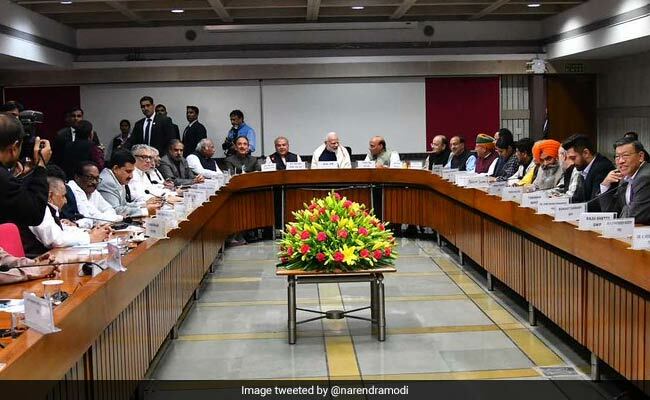 The government is "ready to discuss all issues", Prime Minister Narendra Modi assured the opposition parties today at the traditional all-party meeting before a parliament session begins. The winter session of Parliament, which starts tomorrow, will be the last full-fledged session before next year's Lok Sabha elections. 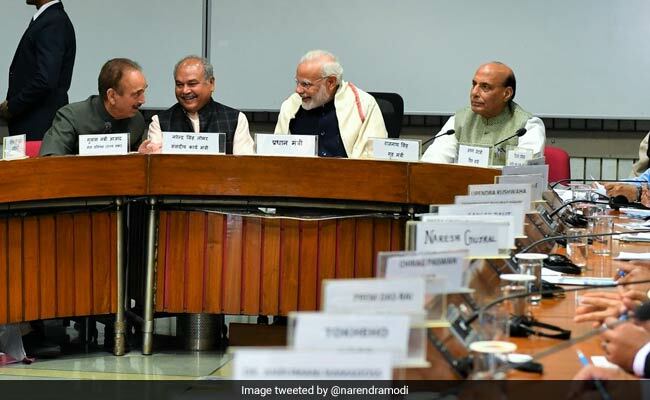 "We want a discussion, we are ready to sit till late to ensure parliament functions," PM Modi said at the meeting, held this afternoon at the Parliament House. The Congress put forward its pressing concerns -- including the Rafale deal and misuse of Electronic Voting Machines -- at the meeting. There have been allegations of the EVMs being compromised as assembly elections in five states - Rajasthan, Madhya Pradesh, Chhattisgarh, Telangana and Mizoram - ended. The counting of votes will take place tomorrow. "In the recent elections, EVMs were found in private houses, hotels and even on the roads... the ruling party is misusing the EVMs," Mr Azad said. "There is a big question mark over the fairness of the elections. The people of this country have no faith in EVMs the day the BJP government came to power. In a democracy, voters should have full faith in the election process," he added. National Conference patriarch Farooq Abdullah raised the question of Ram temple construction at Ayodhya. The mass mobilization on the issue by right-wing groups has created a situation that's becoming difficult for the minorities, he said. Mr Azad said the Congress has also flagged the issue of French deal for the Rafale fighter jets. "We have demanded an investigation into the Rafale deal through a Joint Parliamentary Committee," Mr Azad said. The party, he said, had put forward the same demand before but the government has not yet taken any decision on this, he added.